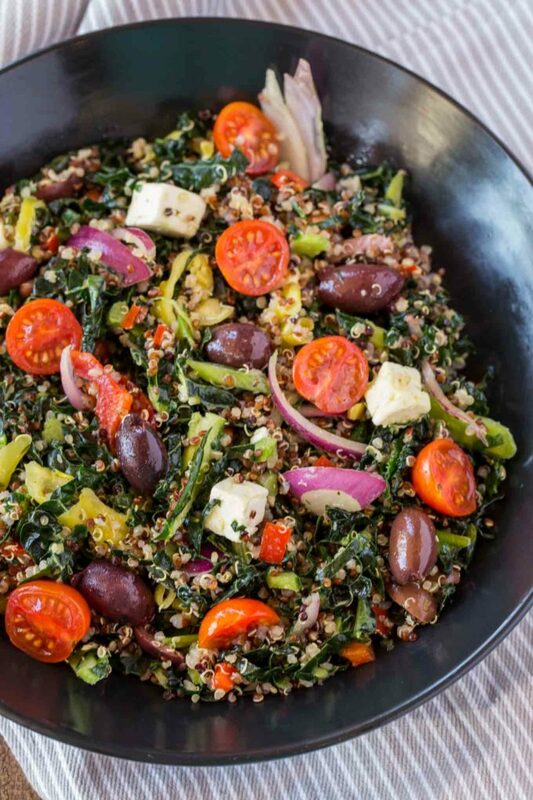 Greek Kale Quinoa Salad with red onions, tomatoes, feta cheese, kalamata olives, banana peppers in a quick and easy vinaigrette that’s Full of flavor. We LOVE kale salad around here. We also tend to stick to salads because they can be so low in points. 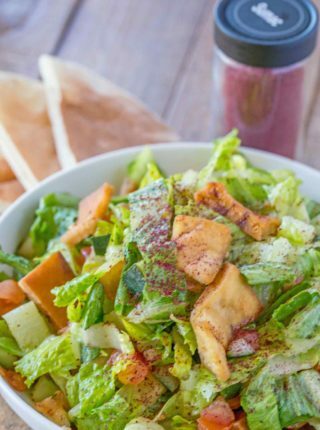 But there is a definite issue when it comes to staying full with salads. Recently I have been experimenting with adding more grains to our meals. Enter Quinoa. I LOVE quinoa because it’s so easy to cook (just be sure you’re rinsing it very well to reduce the bitterness). A question asked a lot is how to make onions less strong. If you’re nervous about the sharpness of red onion you can also soak the slices in ice water while you are cooking, for 15-20 minutes. You can also soak in vinegar but the vinegar will slightly soften the onions. Farro or barley would be a great alternative. 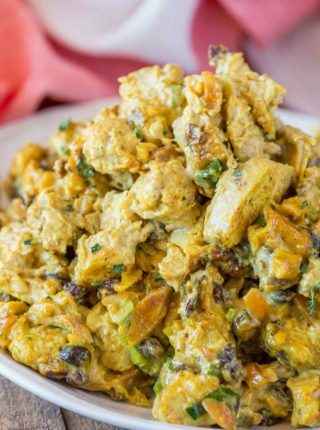 For a no point alternative add butternut squash, carrot or acorn squash cubes. White Quinoa is the fluffiest of the quinoa, mildest flavor and most similar to cooked rice. 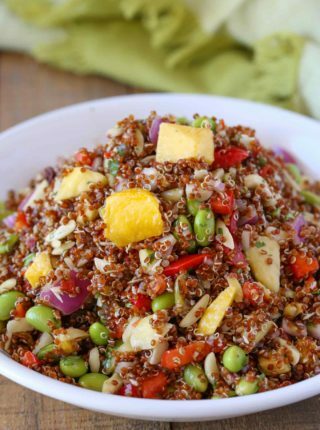 Red Quinoa is richer and nuttier. Cooks up chewy instead of fluffy. 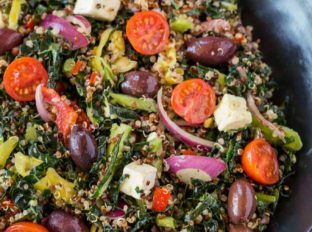 Black Quinoa is the nuttiest and chewiest flavor, it also takes the longer to cook. Knead the leaves like you would a bread dough. Just as you would cream butter sugar together long enough to see a dramatic lightened mixture as you knead the kale leaves you will see the green colors become much more vibrant and noticeably softer. If you prefer not to massage your kale, toss it in olive oil and let it sit overnight in the refrigerator to allow it to soften naturally over time or steam it for a minute and let it cool. Remember to account for the points in the olive oil. 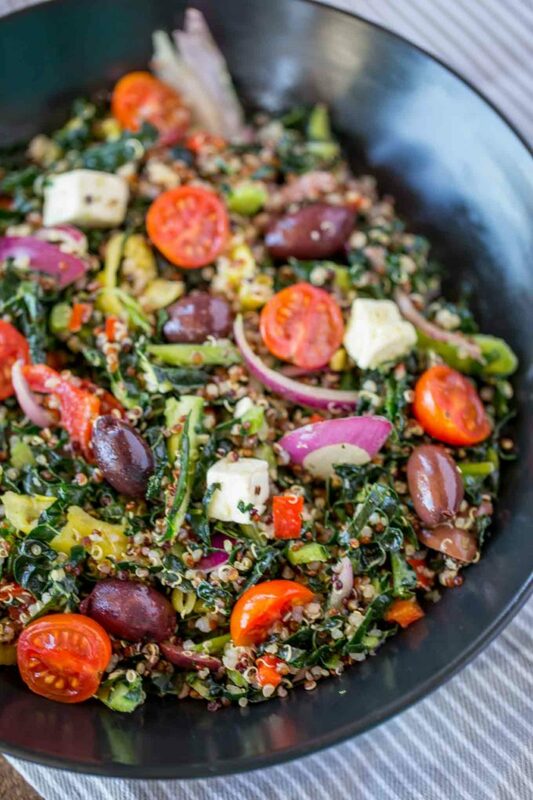 Greek Kale Quinoa Salad with red onions, tomatoes, feta cheese, kalamata olives, banana peppers in a quick and easy vinaigrette that's full of flavor. Rinse the quinoa well with water then add to a saucepan with 1 1/3 cups water. Bring to a boil, then cover and simmer on medium-low heat for 15-20 minutes. In a small bowl whisk together olive oil, water, lemon juice, red wine vinegar, dijon mustard, kosher salt and black pepper. 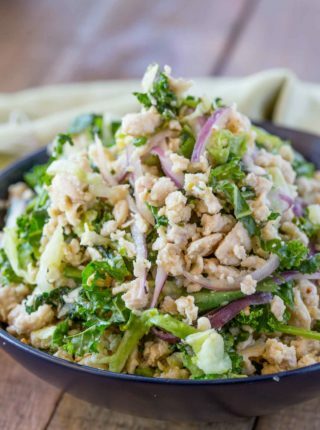 In a large bowl add half the dressing to the kale and massage it for 3-4 minutes before slicing. 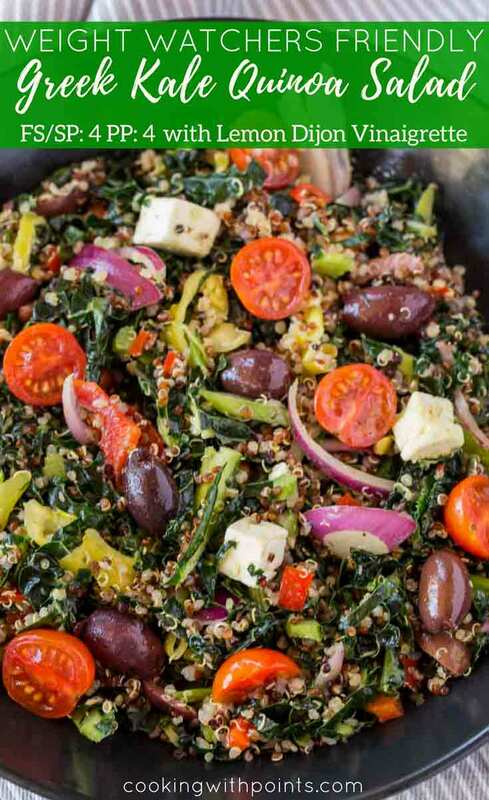 Add the quinoa, olives and bell pepper then toss with the salad ingredients. Top with the feta and olives. I don’t see the nutritional value on this recipe. I still use the old point system because it works for me. Sorry about that, I’ve updated it for you. This is the perfect healthy meal, so tasty and highly recommended! I have been trying to find more meals with no meat. This one hits all the right notes! I am always in for anything Greek! I love Greek anything! I have to try this!